The capital city of Pennsylvania has plenty to offer. Enjoy the serenity of the Susquehanna River, or take a walk into town and enjoy an array of art, culture, sport, markets, and the St Peter’s-esque Capitol Building. Harrisburg is also home to the Pennsylvania Farm Show, the largest of its kind in the nation. Below are our top restaurants in the city. Named for possibly the greatest of the Roman gods, Bacchus, the god of wine , Bacco puts happiness, joy and merrymaking at the forefront, coupled, of course, with fine food and great drinks. The menu is small but perfectly formed, with a selection of cured meats, imported cheeses, hearty desserts, homemade pastas and, arguably the stars of the show, brick oven pizza. This Sicilian-style eatery will make you both long to fly across the Atlantic and be grateful that such a restaurant exists in central Pennsylvania, negating the need for a trip. The atmosphere is casual and comfortable, making it ideal for a visit any time of the day, and if you want to stay late, the craft cocktails and fine wines will give you plenty of excuse to do so. Bricco is an esteemed restaurant in the heart of Harrisburg. Its menu takes inspiration from around Europe, serving fine-dining cuisine in an authentic, rustic, soulful fashion, with nods to the South of France, Italy, Greece and Spain. The dishes are a treasure trove of flavor explosions, and the team regularly changes the menu, meaning that you will have plenty of reason to make repeat visits. The chefs are committed to using only the freshest, local ingredients, meaning that you are getting a taste of both the Mediterranean and of Pennsylvania. 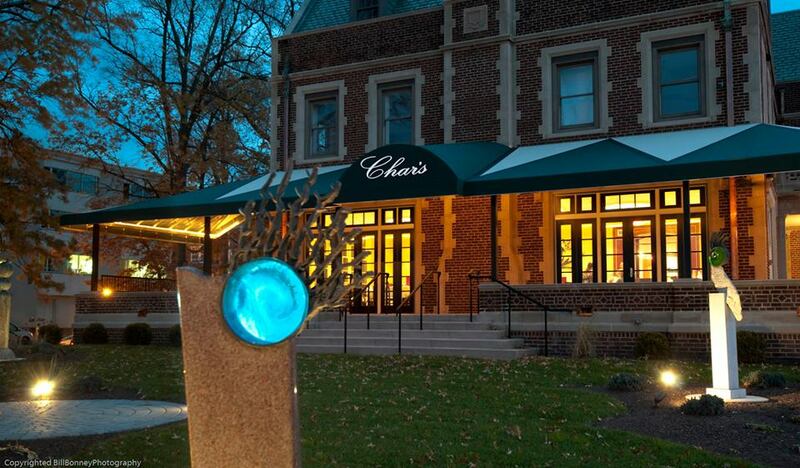 For fine views and fine dining, Char’s is the best choice in town. It has prime real estate within the Tudor Revival Tracy Manor, which was completed in 1918, and is the only restaurant in Harrisburg to boast views directly across the Susquehanna River. It is widely known as the primary fine-dining restaurant in central Pennsylvania, with the added draw of housing a fine art collection within the dining room. Much of the menu is finalized by Chef Ron Canady, depending on the ingredients available on the day. The restaurant is committed to operating a local, organic and sustainable business, and this care translates to the plate. Fine art and fine dining, coupled together for overall refinement. Cork & Fork‘s philosophy centers around sustainability, seasonality, and local food that is made fresh. Wine, meat, cheese and pizza are the blood that runs through the restaurant’s veins. The pizza is gourmet, with the crust being made from the finest grains and cooked to 850 degrees to give the crust the perfect bite, and it is all topped with premium imported and domestic products to produce pizzas that give Italians a run for their money, as does their pasta, which is all handmade. The spacious, wooden, duplex interior perfectly reflects its sumptuous menu. The most authentic Mexican cuisine in the area, El Sol delivers on all counts, including a laid-back atmosphere that gets suitably raucous as the evening rolls on and a menu that will satisfy even the most insatiable glutton. Their drinks and tequila menus require a look-in whatever time you’re dining. 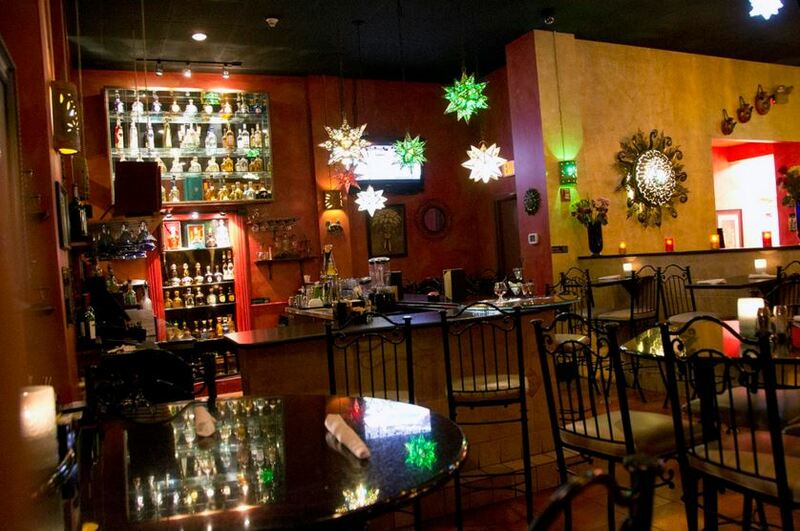 It has the largest tequila selection in Harrisburg, and it shows that there is far more to this spirit than ‘salt, lemon and lime time’, like a fine wine, it can enhance your meal. There is plenty of choice here, with tacos, fajitas, carnitas and enchiladas being highlights on a menu full of stars. 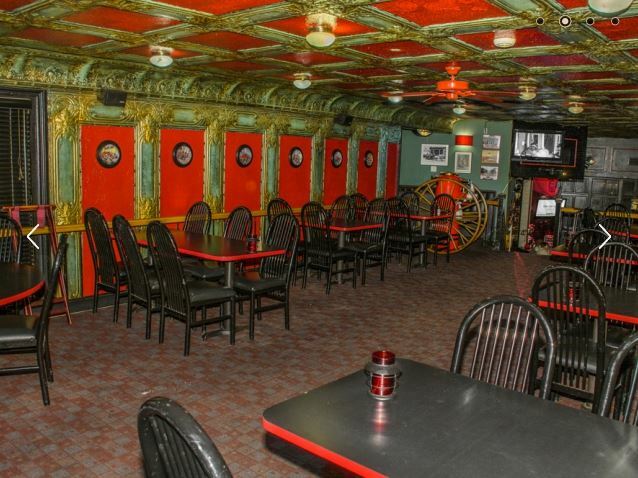 This is far and away above your usual Mexican cantina. One of the few restaurants to be housed in a converted firehouse, The Firehouse makes the most of its historic building. The current building was first erected in 1871 and is the second-oldest firehouse in the state. Much of the architecture is in the original design, with the non-original features being lovingly restored to fit in with the historic style of the building. The menu of New American cuisine specializes in seafood and meat, with the finest cuts of meat and freshest seafood, alongside some Cajun and Italian dishes plus the must-try, award-winning jumbo lump Maryland-style crab cakes. It is a restaurant that cares about its place in the community and the culinary satisfaction of its customers. 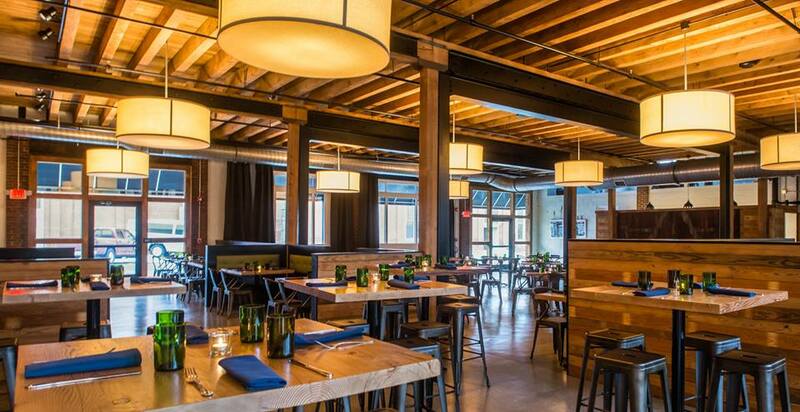 The Millworks is more than just a restaurant. It is an integral part of Harrisburg’s history and its current community. The building is made out of reclaimed brick and lumber on the site of the old Stokes Millworks, and it brings together the best of the town’s art and agriculture in a creative, bohemian space. The seasonal menu is produced with ingredients from local family farms that practice organic or sustainable methods, with profits being reinvested back into Pennsylvania agriculture. Central Pennsylvania is thought of as the Tuscany of the East Coast, with flavor-forward ingredients, and much of the menu being cooked in their bespoke wood-fired oven, their wood-fired pizzas, in particular, give Tuscany a run for its money. The Millworks features good food for a good cause. Located in heart of midtown is note. 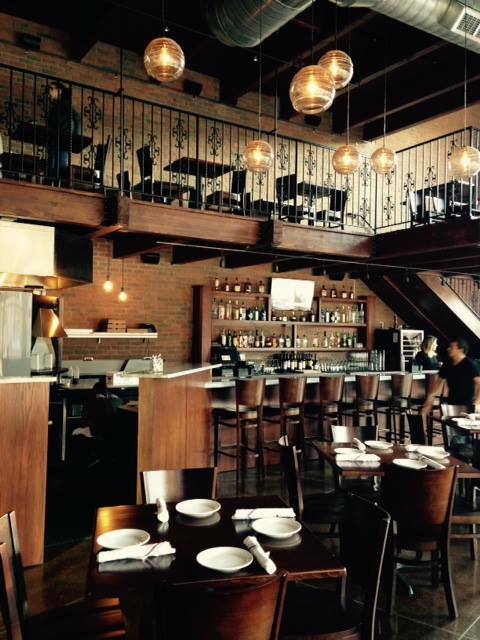 bistro & winebar, a restaurant that is housed in a Victorian-style building from 1910. It is a popular gathering place for the locals, with the bar being one of the more frequented after-hours spots in town and the European-inspired cuisine being one of the most sophisticated menus in town. The dishes have a modern flair, and the chefs aren’t afraid to try their hand at new flavor combinations. The cassoulet of duck confit, cotechino sausage and cannellini beans brings a French classic right into modern America, and the Berkshire pork chop, butternut squash risotto, pancetta, pearl onion and thyme, caramelized Brussels sprouts, walnut and bleu cheese with maple bourbon glaze is almost too tantalizing for your taste buds. It will provide an enchanting experience for your palate and your eyes. A playfully French-inspired restaurant, with a bar-centric vibe that means it’s busy all day long, Rubicon has quickly made a name for itself as the place to go for honest, epicurean fare and all sorts of drinks. It gets particularly busy between 5pm and 7pm, due to its oyster happy hour. Their meals are all prepared with fresh, local produce, as well as some gourmet imports, and their meat is all farm raised. The menu is rife with French favorites, from the casual croque monsieur to the richly satisfying boeuf bourguignon, as well as a few fusion dishes such as the West Indian-inspired poulet columb, and the demi-Vietnamese faux pho. It is a rubicon of desire and satisfaction. There are few things in life that are more satisfying than a really good steak, and if you are in Harrisburg, 1700° Steakhouse is the place to go for steak. It is central Pennsylvania’s great American steakhouse, featuring a menu of Midwestern prime beef, dry aged beef and certified Angus beef, and if for some reason you aren’t in the mood for meat, fine, sustainably sourced seafood is also available. In addition to the prime steak, the restaurant prides itself on its fine wine, with its wine list featuring on Wine Spectator‘s excellence list and their menu and staff being able to expertly point you to the best wine pairings. 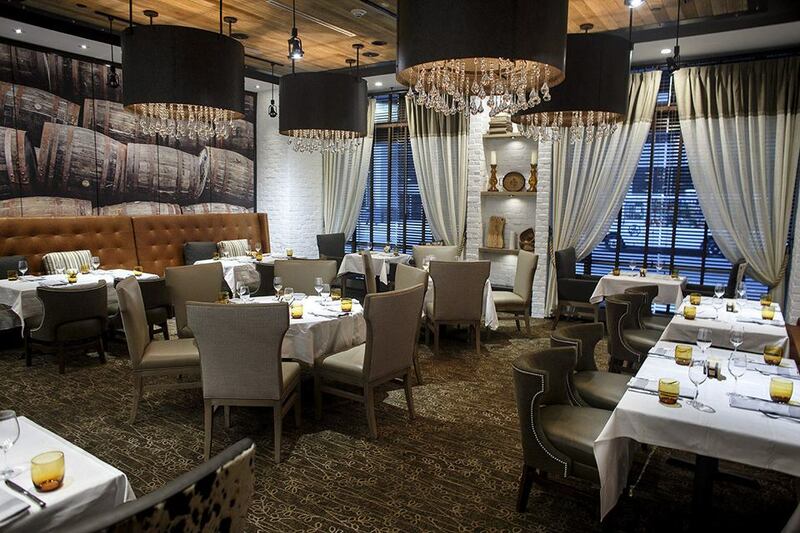 The eight-foot glass windows, wine wall and feature photography give it an air of elegance, while its leather and cowhide lining in the main dining rooms don’t take it too far from its steakhouse roots.